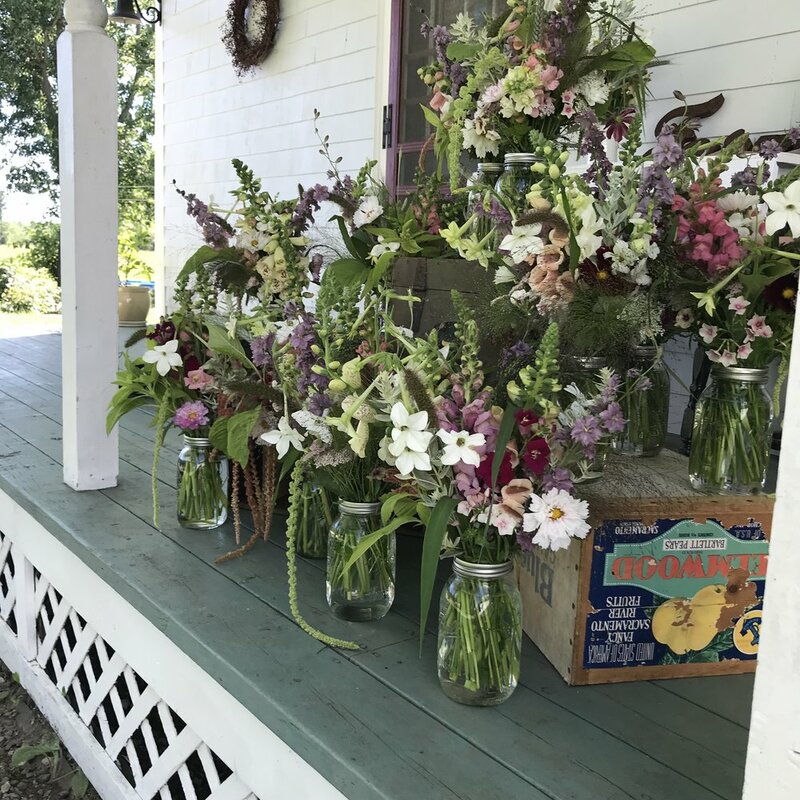 Just like a vegetable CSA (Community Supported Agriculture), the Lazy Acres flower bouquet CSA is a subscription that runs throughout the spring and Summer providing you with fresh blooms every week. By joining the flower bouquet CSA (Community Supported Agriculture) in the winter or spring, you enable the farm to buy seeds, plants and equipment when farm expenses are numerous, and in return you (or a lucky gift recipient...?!) will receive a share of the harvest - in the form of a fresh seasonal bouquet every week during the field season. You’re also becoming a part of the farm family and bearing some of the risks that come with farming such as weather related incidents or crop failures - right alongside us! But the hope is that by planting a diversified mix of specialty flowers, and using sustainable growing methods, we can mitigate those risks and bring you amazing blooms all season long. There are two separate shares available; spring and summer. They can be purchased separately or together, and if you choose both shares, you’ll enjoy a $15 discount! The summer share will run for 10 weeks once the fields start producing (likely in mid-July). Bouquets each week will feature what is fresh and at its peak and will be provided in a large mason jar. 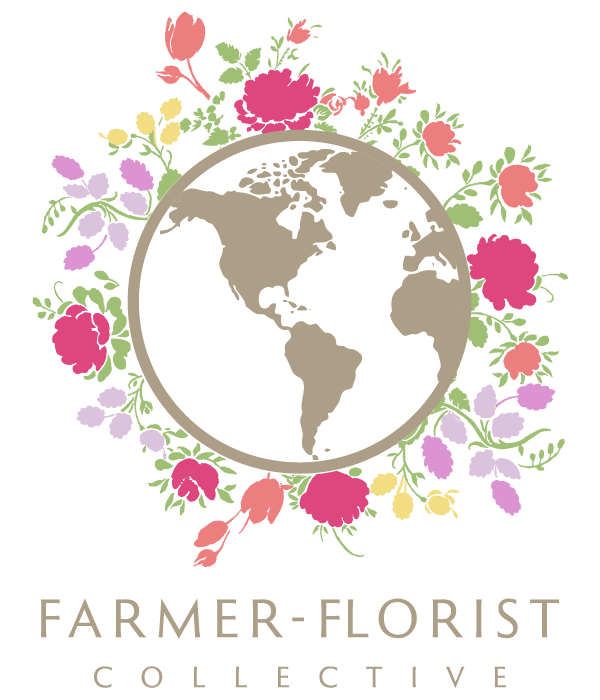 We grow over 50 varieties of flowers, thus ensuring lots of expected and unexpected blooms to grace your home! Delivery is available at a central location in Brunswick (Fort Andross), Boothbay (East Boothbay General Store) as well as at Alewives Fabrics in Damariscotta Mills. Pick up at the farm is also available -and encouraged! Let us know where you are and if delivery is of interest - and we'll see if we can arrange a group pick-up nearby. The 10-week summer CSA costs $150 (plus tax) or $190 (plus tax) for delivery. If you choose both shares, the cost is $195 (plus tax) or $250 (plus tax) delivered. LAZY ACRES FLOWER BOUQUET SUBSCRIPTION SIGN UP Fill out the form below to sign up for the flower bouquet subscription. Once we receive your form, we will be in touch with you to confirm your interest and arrange payment for your deposit ($75 due upon signing up and the remainder due by May 1). Thank you! Looking for more information? Let us know if you have any questions and we'll get back to you asap. Thank you for your interest in the flower bouquet CSA! We will be back in touch as soon as possible to confirm your interest and discuss further.